Born: 29 August 1786, Muensingen, Wuerttemberg, Germany. Died: 31 October 1843, Cape Town, South Africa. Carl Ludwig Wilhelm Liesching, known at the Cape as Louis Liesching, also as Carl Lodewyk Willem Liesching, was the eldest son of Dr Friedrich Ludwig Liesching* and his wife Luise Seubert, and an elder brother of the apothecary Carl Friedrich (Charles) Liesching*. Louis arrived at the Cape with his parents as an infant about the end of 1787. After serving an apprenticeship with his father he went to Germany in 1805, matriculated at Tuebingen and then proceeded to Goettingen where he studied for four years and graduated as Doctor of Medicine (MD) in 1811. His thesis, De gangraena, was published in Goettingen the next year. Arriving back in Cape Town he was registered to practice as physician, surgeon and accoucheur in April 1812. In February 1813 he married Hester Antoinette Azarond and they eventually had two sons and six daughters. Louis was particularly active in the promotion of public health. In 1828 he succeeded Dr Johann Wehr* as lecturer in midwifery, but taught for only one term of three months. At various times he served as physician and surgeon to the Court of Justice (succeeding Dr L.G. Biccard* in 1818), the Hospital for Sick Slaves (after 1827), the Town Gaol, and Somerset Hospital (in Dr Wehr's absence). In 1825 he was appointed as a member of the Supreme Medical Committee and was its president from 1839 to his death four years later. During his term of office the committee had to take a leading role in fighting epidemics of measles (1839) and smallpox (1840), from which he emerged as an administrator and medical organiser of some stature. Like his contemporaries Liesching was interested in the medicinal properties of plants. In 1826 a brief description by him of the medicinal properties of buchu was published in the Archiv des Apotheker-Vereins im Nordischer Deutschland. From about 1829 Louis was vice-president of the South African Medical Society (founded in 1827), the first of its kind in South Africa, of which his father was president. His activities in the society ceased after the death of his father and the onset of his own final illness in 1841. After his death in 1843 the society gradually languished. Louis played a prominent part in the cultural affairs of Cape Town. 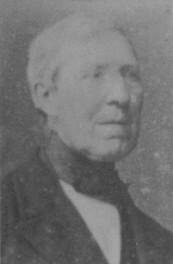 He served on the committee of the Public Library in 1837, and on the council of the South African College from 1830 to 1838. He was an active Freemason and in 1842 was a director of the Freemasons Educational Fund. He was also a member of the committee of the Philantropic Society, founded in 1828 to aid deserving slaves to buy their freedom. However, like his father he was in financial difficulties during most of his adult life, spending time and money on ventures, such as breeding silk woms, that proved unprofitable. He died after a long and painful illness. In a brief note in the South African Commercial Advertiser he was described as a "cheerful, high-spirited, and intelligent companion, the faithful friend, and the accomplished physician". According to Burrows (1958, p. 86) Louis "achieved even more honour and prominence than his father". McMagh, P. The three Lieschings: Their times and contribution to Cape medicine, 1800-1843. Cape Town: Society for the History of Pharmacy in South Africa, 1992. National Automated Archival Information Retrieval System (NAAIRS). http://www.national.archives.gov.za/naairs.htm Documents relating to Carl Lodewyk Willem Liesching / Carl Ludwig Willem Liesching / Louis Liesching / C.L.W. Liesching. South African almanac and directory (title varies), 1830-1833, 1837-1843. South African Commercial Advertiser, 22 April 1837, p. 2, Public Library; 1 November 1843, p. 2, Dr Liesching.